I was so excited to add this little colorful canvas from Birdaria to my guest bedroom this weekend. I won it in a giveaway hosted by one of my favorite interior design blogs, Marcus Design. I am a lucky girl. (Thanks Nancy and Birdaria!). Trust me I count my blessings every night. It looks kind of perfect here, don't you agree. As if it was meant to reside in this corner, no? So this is my guest bedroom with red, whites, and some purples. I thought winning this canvas would be the perfect opportunity to give you a peek into the headquarters of my sweet house guests. If you are wondering about the little dresser sidetable, yes it is an ikea hack. See my original post on it here. In other news...I'm new on Instagram. Follow me here. I hope you all have a great start to your weeks. Ooh and I made this cake this weekend and it was a total hit. Do it!! it will become your new fave treat. Ummm my jealousy is kicking in because this is beyond amazing. I might die from envy. This little room is so gorg! 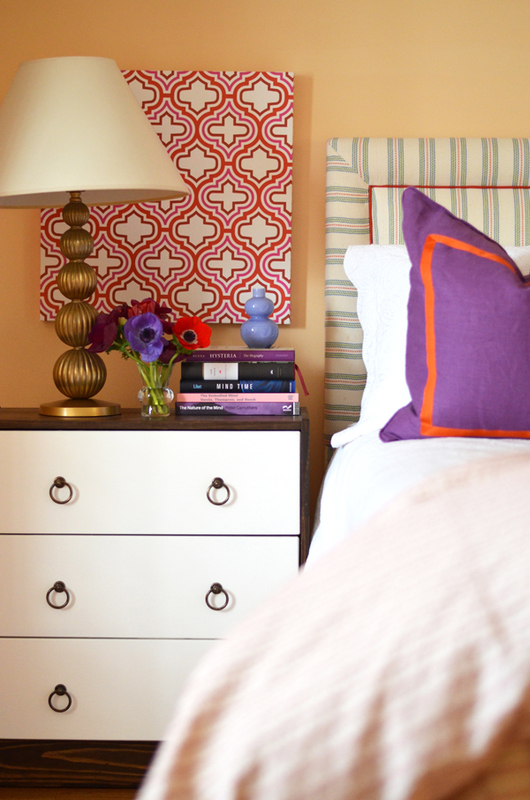 Your guest room is gorgeous Albertina, love the colors and you did amazing with the ikea dresser! The cake looks sooo yummy, pinning the recipe! Lovely! The pattern on this print is adorable and it's the perfect contract with that bedding. Albertina we are ready to be your guest in that room! You have an amazing eye for color and creating a warm & vibrant space. 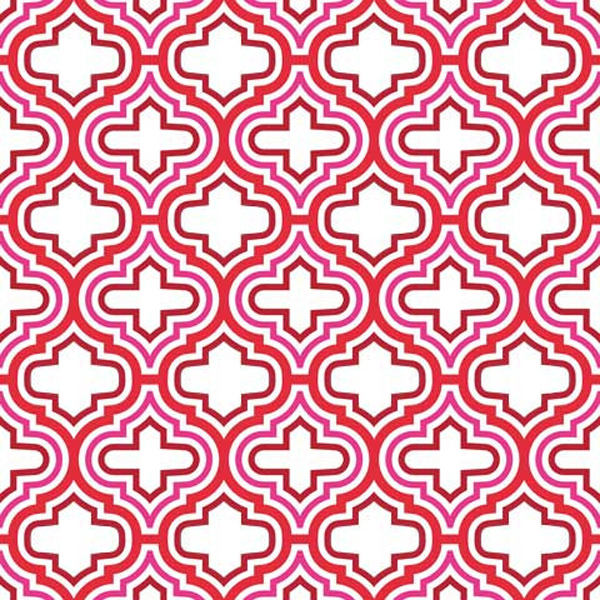 LOVE the purple and red with our Marrakesh reds and hot pink. DEVINE! LOVE & GRATITUDE, and congratulations again! Karma ROCKS! This room! That pillow is too perfect for the space. I was totally wondering about that dresser! Such a fab idea. 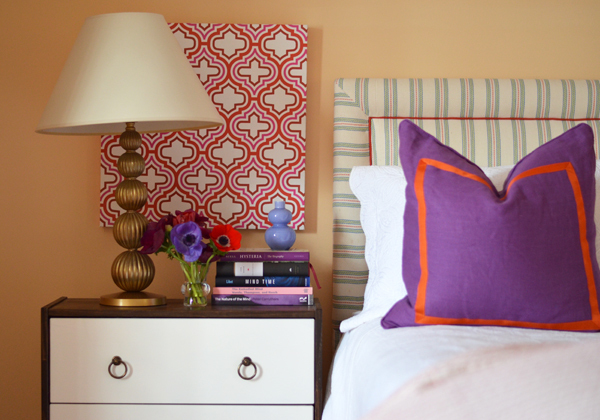 Love the color scheme of your guest room too! Purple and red is a color combo I wouldn't normally gravitate towards, but I love it here. So pretty! Fabulous addition. Is that a Ikea hack dresser? Love it. You made the cake!! Sadly, I have not yet. Looks amazing Albertina. I love the color palette in this room and the new print ties everything in perfectly. wow looks so so perfect! and impressed with your ikea hack too! love the colors in this room. Absolutely gorgeous canvas! I love where you placed it...the room looks so stylish! O wow your guest room looks fabulous! Mine is just an empty room with a blow up mattress as the moment. I'd love to stay in yours! And yes, that piece looks like it was made for that space! Your guest bedroom is a charmer. The new art is the perfect touch! Your guest room is so cute! I love the colors together. it fits perfectly! Love the colors. Lucky you! OH my goodness....just gorgeous!! I love all of the bright punches of color!! It is just perfect!! OMG you have the best style... I love the print and it matches perfectly with the pillow! Gotta love those giveaways! The canvas blends to perfection with your beautiful guest room! I love the Ikea Hack! This print is absolutely perfect in this guest bedroom!!! You know purple and red are always a hard combo to work with, but you have done it beautifully here! Loving the addition. I second Tobe! Let's see it!